It’s a head-scratcher. Where to begin? You could have six meals a day for an entire month in Singapore and still stumble upon some delicious morsel you’ve not sampled before. Even so, I have short list — one that runs through the curry shops, nasi padang (Malay rice smorgasbord) and Hainanese eateries that fill my head when I’m far from home. It’s not that I’m unwilling to share — it’s that … well, OK, perhaps it is that. But it’s also that this hawker stall is in Bedok, a residential neighborhood on the East Coast of Singapore that’s relatively far off the beaten path. (I’d say the stall is about 25 minutes from the city center and a little hard to find, since it’s wedged in a thicket of tall apartment buildings that all look alike.) It’s certainly not a place I’d expect a tourist with just a day or two in Singapore to check out. If you are up for the trek, however, it’s so very worth it. As you can see from the front of the stall, this noodle Uncle has gotten many accolades over the decades. In fact, it speaks volumes that the name of this stall is still Hill Street — named for the street near the city center where it was located for many years. When it moved from that location, it had become so famous that Hill Street fried noodles had pretty much become a brand — they simply had to keep the name even though its new location is nowhere near Hill Street. What is the dish exactly? Char kway teow (“fried flat noodles” in Hokkien, or Fukienese) is simple Singaporean hawker fare — flat noodles stir fried with two kinds of soy sauce (regular and dark, which is sweet and looks like molasses), shallots, scrambled eggs, chili sauce, slices of Chinese sausage, bean sprouts and cockles. It’s best eaten on the spot, hot off the wok, and the best versions have a little extra zing from cockle blood that’s been mixed into the seasoning. Be warned: Hill Street is so popular that you’ll usually have to wait 15 to 20 minutes, which is an eternity in Singapore hawker dining, where you often get served on the spot. But as you might be able to tell from this picture — which doesn’t do the Hill Street Uncle’s char kway teow any justice — it’s delicious. The noodles are always straddling the perfect line between firm and soggy, just the right amount of “wok hei” or charred flavor from frying infuses the noodles and the flavor of the dish, combining salty, earthy and slightly sweet, is intense. A plate like this never lasts more than three minutes on our table. Now, if you live in New York, you’re in for a treat — the Singapore government has flown in the Hill Street Uncle to fry his noodles at a Singapore Day festival on April 14 in Brooklyn. So if you’re in the neighborhood and smell something amazing and see the queues, you’ll know why. 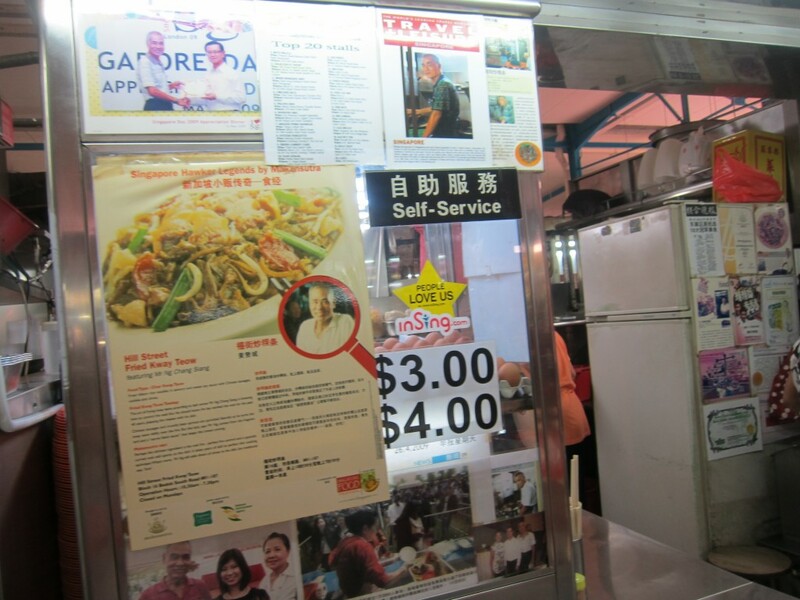 And if you don’t manage to get a taste, well, there’s always a little stall in Bedok where you can find them. 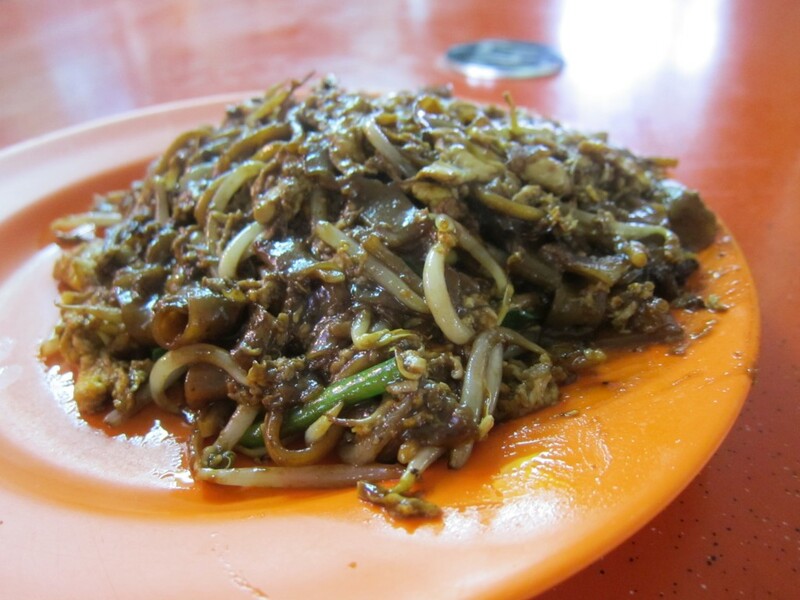 Hill Street Fried Kway Teow, Blk 16 Bedok South Road, #01-187, Bedok South Road Market & Food Centre; +65.9042.1312. 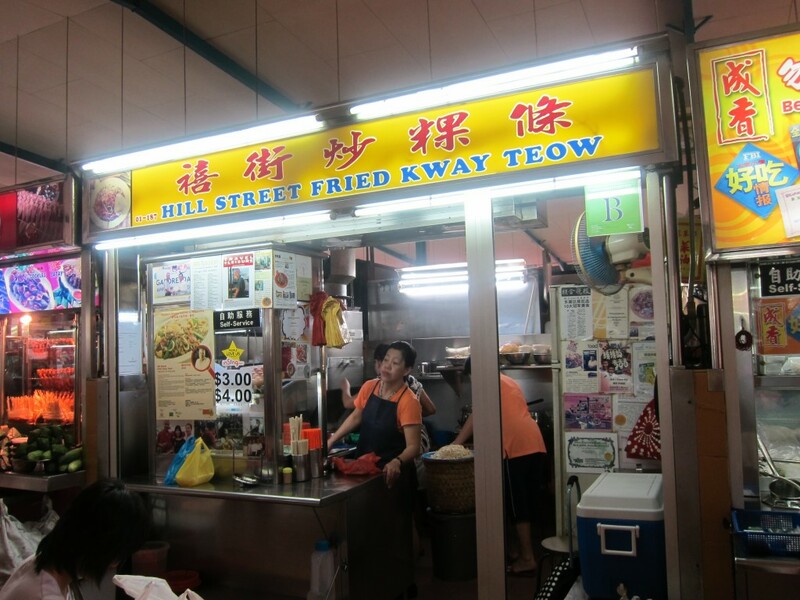 This entry was posted in Asian, Hawkers, Restaurants, Singapore, Singaporean, So Good It Must Be Bad For You, Tales From the Road and tagged Bedok, Brooklyn, Char kway teow, Fried noodles, Hawker, Hill Street Fried Kway Teow, Singapore, Singapore Day by Cheryl. Bookmark the permalink.